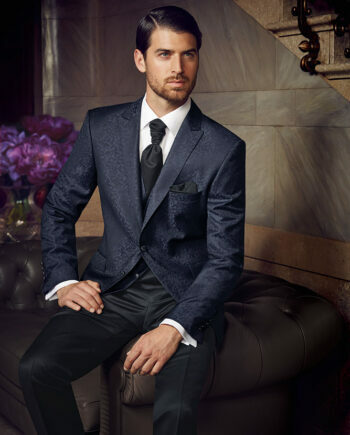 Blue being one of the trend colours of the season is distinctively shown as a festive outfit, e.g. 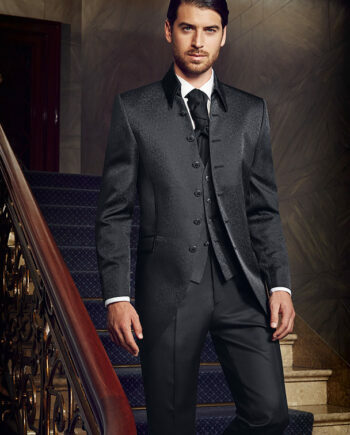 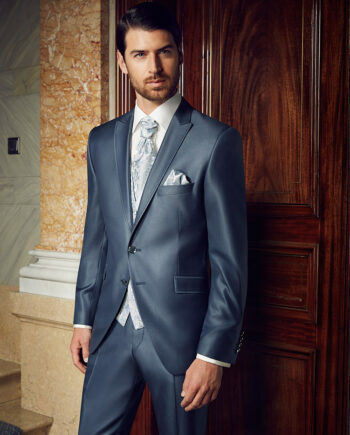 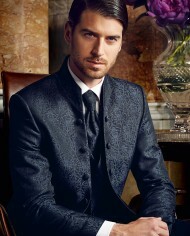 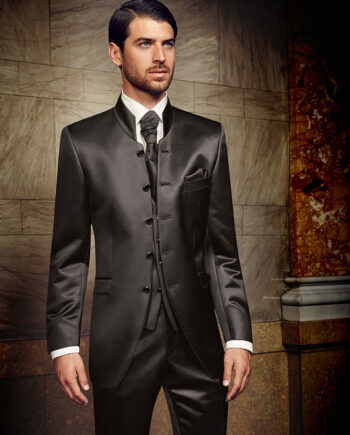 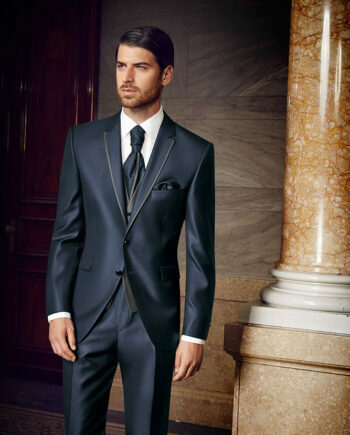 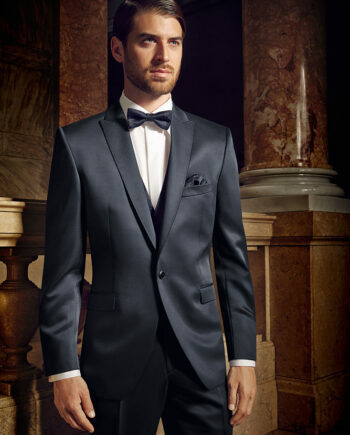 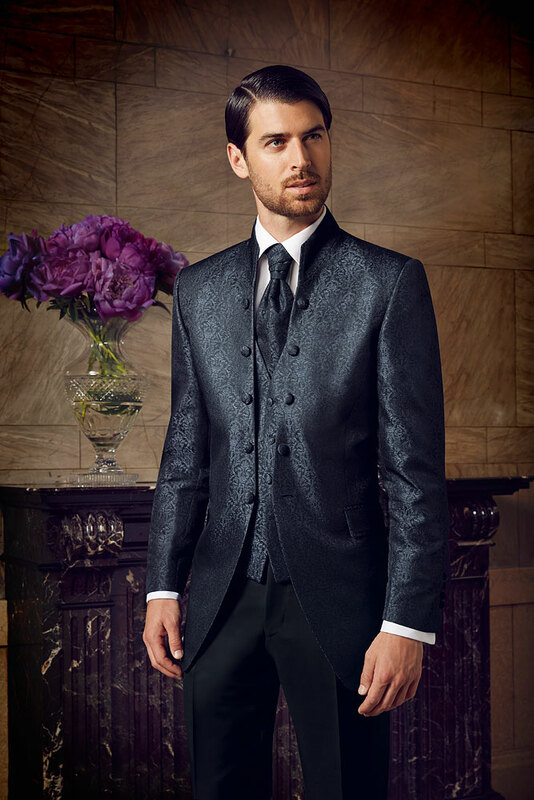 as a wedding suit, in the Prestige collection. 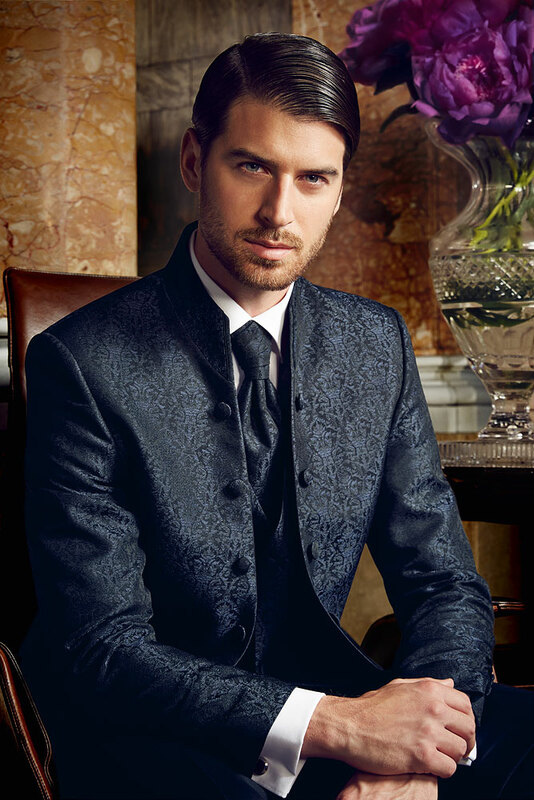 This combination of a noble jacquard fabric and a modern stand-up collar radiates high class and innovative design.